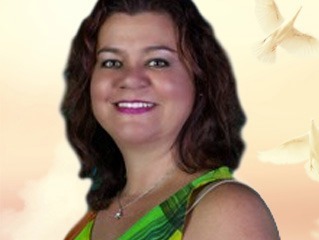 I’m Yolanda and I am a natural psychic, and I have been giving readings for over 25 years. As well as giving readings and teaching, I also enjoy singing and spending time with my family. I feel that it is an honour to be able to do psychic work, and I love being able to bring love and light to as many people as possible. Yolanda is a nice, positive lady however I personally felt like I was not getting a psychic reading but advice from a life coach. There were no validations at all about my situation, just general advice to join a dance class. Sorry not for me. Had a reading on the 15th August. I found to be a nice and pleasant lady and was willing to answer any question. Had a reading last month (April 2016) and it was a nice pleasant reading.Thank you. Really easy reader to follow. Worked fast and provided many details, Many thanks. Get 15 minutes to speak to Yolanda for just £4.99 (that’s a value of £22.50! )..